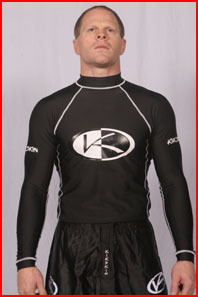 “The Bomb” rashguard made of polyester/spandex with double stitching and silk-screen Kikskin logos! 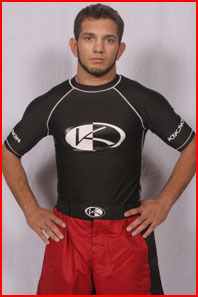 Great for grappling or under the gi. “The Bomber” - This short sleeve rashguard is made of polyester/spandex with double stitching and silk-screen Kikskin/scot.k logos! 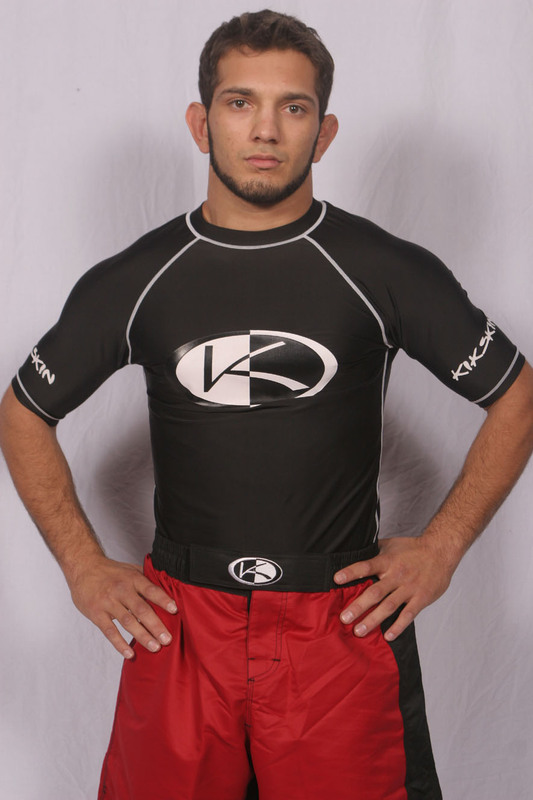 Great for grappling or under the gi! Kikskin introduces its first sport suit. This suit is ideal for multi - purpose training or sporting around the gym. The suit is 100% Taslon with mesh lining for comfort and durability. Jacket and pants come with zipper pockets. This suit comes with four embroidered logos on the jacket. This poly top is 100% lycra stretchable material with a silk-screen Kikskin logo. As worn by two time Middle Weight King of Pancrase Champion Nate Marquardt. Wrap-around elastic Velcro closure, neoprene cover. 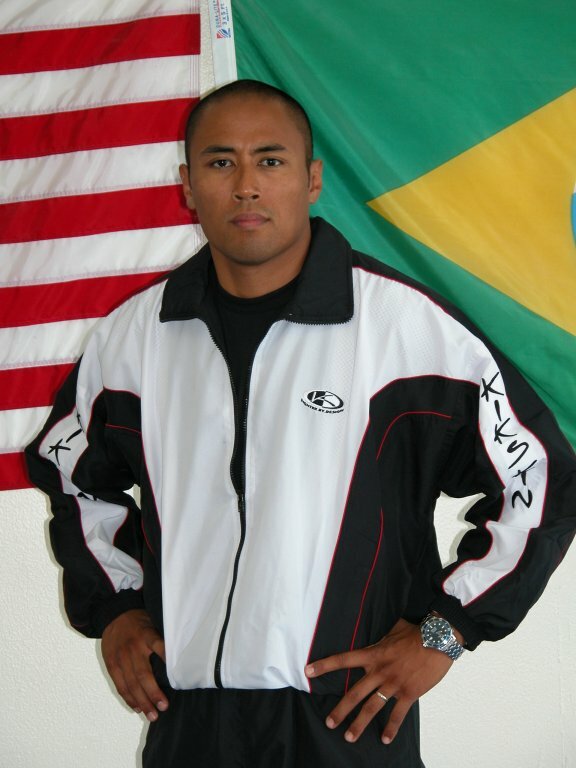 Used for vale-tudo and submission fighting. Black with white logos. 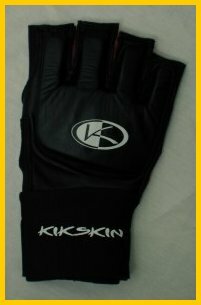 ©2002-2010 KIKSKIN ™, all rights reserved.